A rare opportunity to purchase a former village church partially converted to form a spacious 3 bedroomed family house with scope for further development. The property has been divided internally with approximately half the building used to form the dwellinghouse. Planning permission has been obtained to convert the remainder of the property to form a second 3 bedroomed property and some of the works has already been started. This is a very attractive stone building under a slate roof, retaining many original features, ideally situated in Port William with unrestricted sea views over Luce Bay. The property is offered for sale as a whole or in 2 lots. Lot 1 (Auld Kirk) accommodation comprises:- Ground Floor - Entrance Hall. Kitchen/Family Room. Bathroom. Inner Hall. 2 Bedrooms. First Floor- Lounge. 1 Bedroom En-suite). Lot 2 (New Kirk) accommodation comprises:- Ground Floor - Hall. Kitchen. Utility Room. Sitting Room. Dining Room. Bedroom. Bathroom. First Floor - Lounge. Study. 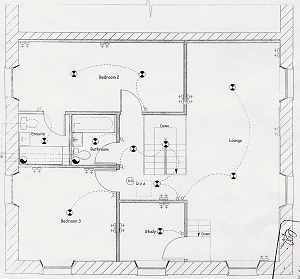 2 Bedrooms (1 En-suite). Bathroom. (When completed as per planning permission). Hardwood exterior door. Built-in storage cupboard housing electricity meters. Storage heater. 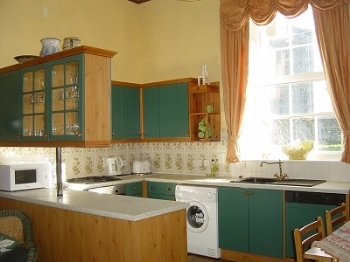 Spacious open plan kitchen/family room with east facing window looking onto garden ground. The kitchen area is fitted with a good range of floor and wall units and ample worktops with inset single drainer sink and tiled splashback. Built-under oven, gas hob and integrated dishwasher. Space and plumbing for washing machine, fridge and freezer. 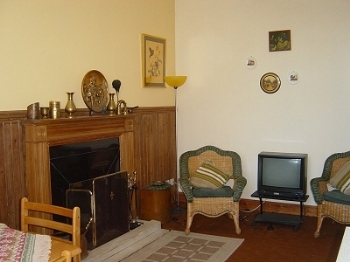 The family room has a feature fireplace with granite slips, open coal fire and marble hearth. Radiator and storage heater. Three piece suite comprising bath with wet wall panelling and mixer shower over, WC and wash hand basin. Radiator. Built-in cloak cupboard and two hardwood doors with leaded glass leading to Bedroom 1 and Bedroom 2. Stripped pine floor and stairs to first floor. West facing window. Stripped pine floor and walk-in understairs cupboard. Radiator. East facing window. Stripped pine floor and radiator. Spacious lounge with west facing window with views onto the sea. Built-in shelved recess. Radiator. East facing window overlooking garden ground. Built-in shelved and hanging wardrobe. Hatch to attic and radiator. With pampas three piece suite comprising bath, WC and wash hand basin. Expelair and radiator. 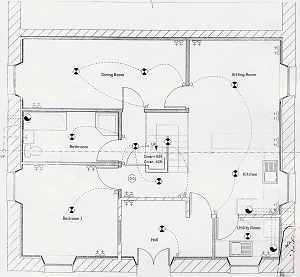 Planning permission has been obtained and some of the work has begun to convert this part of the property to a 3 bedroomed completely self contained family house. The accommodation will be on two floors as per the undernoted plans and the windows, plumbing (including heating) and electrical installation are at an advanced stage. 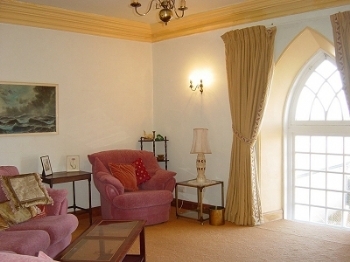 The property stands in a large area of garden with vehicular access from the public road. If the property is sold as two separate lots the garden ground will be divided to suit the purchasers. Mains supplies of water and electricity. The property is connected to the mains drainage system. 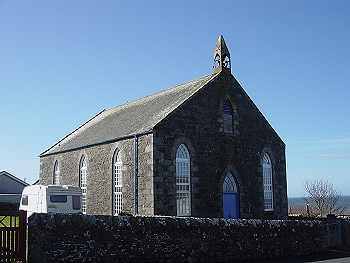 EPC = E.
The Auld Kirk is in Band D.
The New Kirk will be assessed on completion. 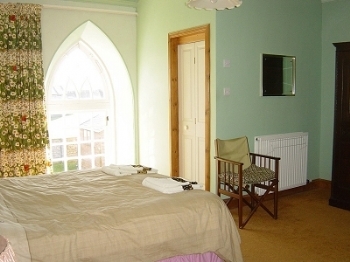 The whole property is a listed building category C.
Offers over £250,000 for the property as a whole. Lot 1 - Offers over £155,000. Lot 2 - Offers over £95,000.